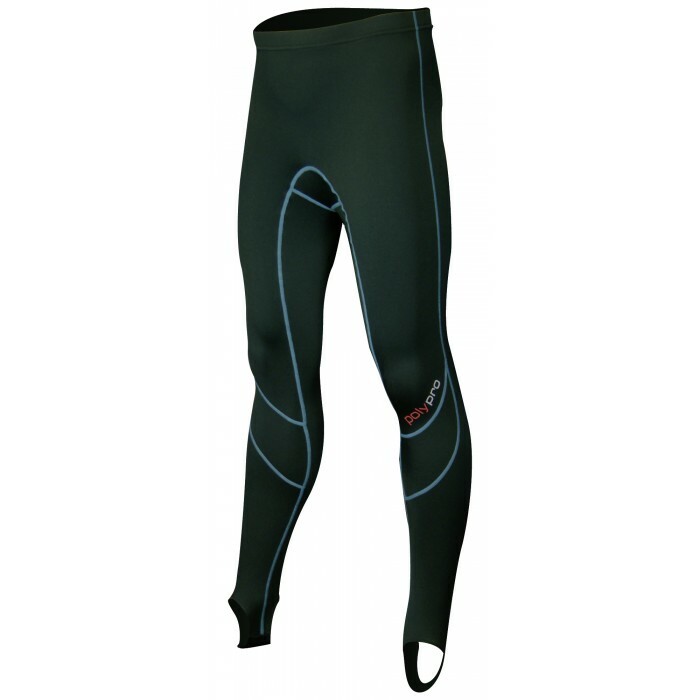 Poly Pro Leggings (thermal base layer) ALSO GREAT FOR SKIING! Ever wanted to give your neoprene garments a heat boost? These leggings are made from a combination of Spandex (10%) and Polypropylene (90%) offering a perfect layering material. Normal Lycra materials are cooling layers designed to cool the body, this garment has the outward appearance of Lycra but has a brushed ´fleece like´ inside to provide good thermal qualities. It also remains remarkably dry as the polypropylene material just hates water. Wear it under neoprene wetsuits, our Race Skin, a Dry Suit....... in fact the possibilities are endless - these leggings would be great under your ski suit, down the gym, cycling etc. Also available as a long sleeve top and socks - see related products tab. 22"-24" 24"-26" 26"-28" 28"-30" 30"-32" 33"-35" 36"-38" 39"-43"
You're reviewing: Poly Pro Leggings (thermal base layer) ALSO GREAT FOR SKIING! Poly Pro Top (thermal base layer) ALSO GREAT FOR SKIING!